If you purchase an Individual Membership while already in possession of an existing Individual Membership, this will be added to your remaining time. For example, if you have 35 days remaining on an Individual Membership and purchase a 365 day Individual Membership, your remaining time will be extended to 400 days. Remaining time for an account can be increased up to three years. However, you can't combine remaining time from Family Memberships and Individual Memberships. No. The Nintendo Switch Online membership is not for one Nintendo Switch console, but for one Nintendo Account. As long as it's linked to your Nintendo Account, you can use the Nintendo Switch Online service from any Nintendo Switch console. No, there's no restriction. A parent account must purchase the Family Membership, but then any Nintendo Account of any age in the Family Group (including Child Accounts) can use the Nintendo Switch Online services. Yes, you can. Even if your family members are using their accounts on different Nintendo Switch consoles, if you have a Family Membership and create a Family Group, then each account can use the Nintendo Swich Online services. You don't need to use the same Nintendo Switch as the person who purchased the membership. 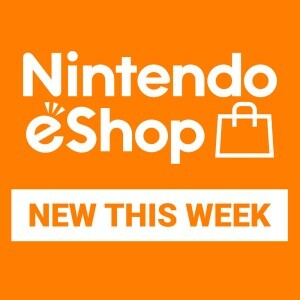 If you have the necessary funds in your Nintendo eShop balance when automatic renewal takes place, they will be automatically taken from your balance. If you don't have enough funds, then your saved payment method will be used to automatically add the remainder to your balance and purchase the membership. If someone I am playing with over online play uses voice chat, will I be automatically addded to the voice chat?